When I first started on this journey with AJ to plan this epic gathering, I had no idea what I was getting into. I’m not sure he knew either which was probably not a bad thing. I heard about AJ’s plans for the world’s biggest family reunion in January of last year when he did an interview about it on NPR. 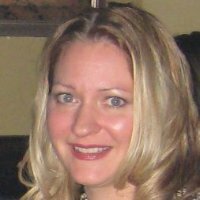 I also work for an online genealogy site called WikiTree.com which is a collaborative family tree site that is free and accessible for everyone. The mission of WikiTree is essentially to connect the world together in one big tree where people can work collaboratively on their family history. That idea fell nicely in line with AJ’s vision of the Global Family Reunion and so we reached out to see if we could help. This wasn’t the first time I’d heard of AJ Jacobs. I became acquainted with him, at least through his writings, several years prior when I came across his book The Know-It-All while roaming a bookstore one day. Once upon a time, I too had the notion that I would read the entire Encyclopedia Britannica but unlike AJ, I gave up somewhere around aardvark. I figured if I wasn’t going to read the entire Encyclopedia Britannica, the least I could do was read the book written by the guy who managed to accomplish such a feat. It was exciting to hear about his new project involving family history and at WikiTree we were delighted to help him with some of the research he was embarking on. Even more thrilling, for me, was when AJ called to see if I wanted to be part of his Global Family Reunion team. Who could turn down an opportunity like that?! Not to mention, we’re only 25 steps apart on the Global Tree, so it’s not like I could say no to family. I started dabbling in family history research when I was about 14 and I would tag along with my mom to the local LDS church where she was a family history consultant. It was a hobby I turned to off and on for many years until about 6 years ago when it went rather quickly and unexpectedly from being a hobby to a profession. In all that time, this has to be one of the coolest things I’ve ever been a part of. One of the outcomes stemming from our efforts that I love best is that this idea of a Global Family is lighting a spark in people who either had never thought much about where they came from or who grew up in a less than ideal family environment and have always felt a desire just to belong somewhere. But still, there was always a part of me that wondered about the people I physically came from. Where were the people who looked like me? Where did they come from? In 2004, I accidentally found my birth mother. See, I’m a birth mother myself, with a child I placed for adoption a few years earlier. By 2004, I was working in a bookstore and one day noticed there were only 2 adoption books on the shelves, and not only that, but that they were very technically written. I found this frustrating because adoption is anything but technical, it’s an incredibly emotional experience whether you are the child, biological family or adoptive family. I decided I would write a book about adoption that captured the real essence of it. A few days later I was on some adoption site looking at statistics and a pop-up window appeared (I was sure I had those blocked). “Click here to see who is looking for you!”, it declared. I rolled my eyes, sure that IF anyone were looking for me, there’s no way it was here. Still, for whatever reason, I went ahead and entered what I knew about my birth and hit submit. BAM. A few seconds later I’m staring at a profile that my birth mother and her family had submitted several years prior. It had her name, her siblings names, my biological father’s name and his siblings. I about fell out of my chair. I’d wondered about these people for years but had never really tried to find them, partly because I had no idea where to start looking and partly because I wasn’t sure what I would do if I did find them. Suddenly there they were. It took me a few weeks to track down my birth mother’s brother and discover he lived only about an hour from me. I called him, nervously, as you might imagine. He answered and I gave him my birth mother’s name and asked if he knew how I could get in touch with her. “Who are you?” He asked skeptically which sure did not help my nerves. “Ummm….. I’m pretty sure I’m her daughter?” I tossed out hesitantly. There was a really long pause on the other end and then he spoke again in a much friendlier tone. “I guess that makes me your uncle!” I smiled. “Yep, I’m pretty sure that’s how that works.” We hung up the phone and shortly after my birth mother called me. Her first question: “Do you hate me?” I’m forever grateful that I had the opportunity to assure her I absolutely did not and to thank her for the choice she had made. I have since been able to get to know her, her living family and research many of the ones who have passed on. It’s been a truly wonderful experience. My biological father’s family is still a mystery but thanks to the amazing advances in DNA I hope to be able to find enough close-ish cousins to piece together his part of my family tree. These are experiences I would wish for anyone who doesn’t know where they came from. It’s been an honor and a beautiful thing to help people connect to something larger than themselves, to give them a sense of belonging and to help them know who they are. That is, to me, in a nutshell, what the Global Family Reunion is all about. Since AJ first started on this journey two years ago, we’ve received nearly 50,000 requests from people wanting to know where they fit into the Global Family. 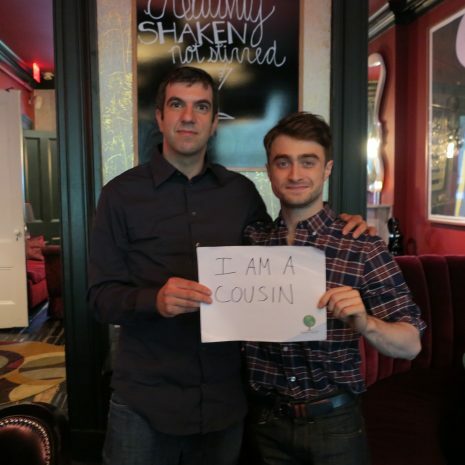 In the last year, our dedicated volunteer researchers have worked steadily to find as many cousin connections as possible. We’ve connected more than 1,000 different surnames in over 100 countries and on every continent except Antarctica. The idea that we are all connected might not be new to all of us but it is certainly something that should make us stop and think. What does it really mean to be connected to every person you meet? The other day, I was sitting on a bench in Central Park, watching as people wandered past. As each one passed, I really tried to take a good look at them and instead of thinking to myself things like “Hey, I like her shoes” or “What were they thinking when they left dressed like that?” I found myself wondering how I might be connected to them. What was their story? Who did they come from? Where along our ancestral trails would our paths cross? It struck me that no matter how different someone might seem from me, even if they appeared to be my exact opposite, that somewhere, no matter what, we could find common ground in whatever our connection might be. That’s a powerful tool that can turn our hearts to people we might otherwise dismiss. I’m also honored to be part of an event that’s focused on raising money to help fight such a devastating disease, one that wipes away history if it’s not captured. It’s great and important to look to the past but don’t forget the stories of the people who surround you. You never know when those precious memories might be gone. Like Paul Simon wrote “Long ago it must be, I have a photograph, preserve your memories, they’re all that’s left you.” Talk to you parents, your grandparents if you still have them, and find ways to record and cherish the stories that they’ll share with you. So, after today, maybe we’ll focus a little more on where we fit into this great big Global Family Tree, what that means in how we treat the people around us and what story we’ll write on our own leaves in the tree. Just something to think about. The GFR family is thrilled to have Legacy.com as a partner. Read the interview below to learn more about Legacy.com, why family is so important to them and what they do to bring families together after the passing of a loved one. How does Legacy.com work? Legacy.com is the place where life stories live on, where the world pauses to remember a life well-lived. We believe a single life story can provide extraordinary inspiration, even after a person has died. So we champion every life knowing it can connect in unexpected and powerful ways and challenge us to live better, make a difference. At the heart of Legacy.com are these life stories, including more than 20 million obituaries shared with us by our newspaper and funeral home partners. They send us their daily obits and we add useful bells and whistles like links to floral providers and charities, information about the funeral home, and our Guest Book – a place where friends and family can come together online to offer condolences, share memories, post favorite photos and videos, and read what others have written. It’s used a lot in the days and weeks after a death, as loved ones and old friends learn the news and rush to share their sympathy and offer help. And for many families, the Guest Book continues to be a source of comfort for a long time, sometimes for many years as they go back to read and re-read the stories told by friends. Some even “talk” to their deceased loved ones through the Guest Book, finding comfort in sharing stories, sentiments and the latest family news they wish they could have shared in person. Each time someone writes in the Guest Book or submits a photo, our team reviews the submission to ensure it’s appropriate. The vast majority are 100% appropriate, but there are times when a submission can’t be posted – due to graphic content, non-family-friendly language, online spam, etc. In these cases, our team ensures that the message or photo does not go online (although we’re happy to work with the writer to edit it as needed and post it). Many families have told us how grateful they are for this review process, which allows the whole family to remember their loved one without worrying about the negativity that can go on in some online comment sections. We also provide the option for a printed, bound book of Guest Book entries for families who want a physical keepsake of the memories submitted by friends. What are some of the most interesting stories you’ve heard? Through our Guest Books, we see people come together and connect in many different ways. A recent obituary for Clay Shephard discussed the young man’s struggle with drug addiction, sharing the story of his troubled life. The obituary was widely shared on social media, and the Guest Book has been signed by thousands. Most who wrote in the Guest Book didn’t know Clay, but many have a loved one who is addicted or died of an overdose like Clay did. The Guest Book provides them a place to share their stories with others who understand, creating a type of “family” that has been made possible by online platforms like ours. 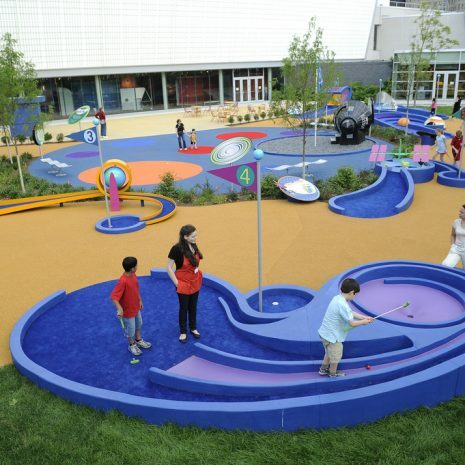 Whether a visitor is connecting with others, venting about their own situation or just offering a kind word to Clay’s parents, they are participating in a community created around their shared experiences. We hear tragic stories, but we are also privy to heartwarming ones, such as the charming story of lifelong loves Richard and Joan Campagne. After Joan died in 2011, Richard began filling her Guest Book with detailed stories of their life together. Four years later, he still writes very regularly – sometimes talking directly to Joanie, as he calls her, sometimes relating memories: hilarious ones, touching ones, even just the simple everyday moments that make a marriage rich. Joan’s Guest Book itself is a fascinating read, but what makes us love this story even more is the way Richard has become a dear friend to our customer service team. Initially Richard had some trouble getting the hang of signing the Guest Book and adding photos (which he now does very frequently, sharing images of his and Joan’s long life together). Through his many interactions with our customer service team over the years, a bond began to be forged – he’d include a story with his email, and our representative might respond with a similar story from her own life. We’ve watched his family grow as new grandchildren are born and heard about home improvement projects he’s taken on. These friendly email exchanges were so special to Richard that he began sending the team thank-you gifts – flowers, candy, holiday decorations. They’re always warmly received – we’ve sent Richard pictures of the team enjoying the flowers and even posted the pictures on our Facebook page. The personal interaction, and our team’s willingness to treat Richard as a person, not just a customer to be dealt with and dismissed, has meant so much, both to Richard and to the team members who have gotten to know him. In Richard’s own words, “You don’t know how much it mean having (you and yours) accepting Joan and I into your family.” Richard’s friendship is important to our team members, too. What does family mean to Legacy.com? Family is central to Legacy.com. Families come together after a death, gathering in person and virtually to comfort and remember. We are honored to be able to provide an online space where some of that gathering can take place. And that applies to all sorts of families – those related by blood as well as those whose only connection is the love they share. their first crucial discovery toward building their detailed family tree. Any additional info that you think may be of interest to our cousins attending The Global Family Reunion? We’re global too! The Legacy.com team spans the world, with Legacy “cousins” in Canada, the UK, Australia, Germany, France, Spain, as well as Chicago, LA and Boston and beyond. We’re so excited to be a part of the Global Family Reunion. Say cheese! Escape for the day by taking a photo in one of your favorite UPPAbaby global destinations. No passport required for this adventure! Curious to see your connection to an UPPAbaby celebrity enthusiast? Discover and create your own family tree! UPPAgrade my ride! Trade in your gear for a Ub stroller to demo and test various terrains on the event grounds. Take the pit stop challenge and be entered to win! UPPAbaby is an innovative company with one mission which is to make high-quality baby products that fits the needs of new parents, while appealing to the sense of style they’ve always had. Not only that, they are also committed to giving back and supporting worthy causes and organizations that align with their mission. You can learn more about UPPAbaby product offerings, UPPA Gives Back charitable giving and more at uppababy.com. Editor’s Note: Sasha is not only an awesome cousin on her own grand adventure, she has also been instrumental in helping us compile The Ultimate Cousin Cookbook which will be for sale at the Reunion and online. All proceeds will go to our Alzheimer’s partners. Sasha will be at the Global Family Reunion to talk about her global adventures. You can purchase her book there as well! 1. Tell us a little about yourself. Where are you from? What do you do for work? Fun? Married? Kids? You get that idea. I’m a wife, mother, and lover of peace. My family and I spent nearly four years eating a meal from every country in the world (A-Z, one country per week), all from our tiny kitchen in Tulsa, Oklahoma. As a food blogger (Global Table Adventure) and National Geographic author, I enjoy helping other people bring the world into their kitchens. I think rolling homemade sushi with friends is more fun than a night out at the bar. 2. Do you have a favorite ancestor? Who? Why? I am fascinated by my Italian and my Hungarian relatives who immigrated to the United States in search of new opportunity. There’s something mythical about the food the created – torta de riso, stuffed artichokes, homemade pasta, chicken paprika – and how these foods kept a bit of their past alive in their new home. 3. If you could be related to anyone in history, who would you want it to be and why? I’m a big geek when it comes to Arthurian legend – I spent most of college studying the world of Chretiens de Troyes, the medieval French author who helped solidify Arthurian legend for generations to come. I would love to sit with him, talk books, and eat a traditional medieval French feast. Being related wouldn’t be so bad, either. 4. What are your thoughts on the Global Family Reunion? Will you be attending? I’m SO excited about the reunion. I plan to speak in the storytelling tent on Saturday evening and am looking forward to sharing my story and hearing others. 5. Do you come from a big family? Small family? Do you guys have family reunions and do you have any good family reunion stories? I don’t have a traditional family history. Though my mother was a creative and eccentric woman, there were numerous challenges in my childhood. I was in and out of foster homes and ultimately raised by family friends a continent away from my mother. Though many people raised me, at times my family felt very small because I never knew if a home or family would be unconditional. In my memoir, Life from Scratch: A Memoir of Food, Family, and Forgiveness, I recount the awkward reunion with my mother. I was 19 years old. We went to a Chinese restaurant and while the food was forgettable, the experience was far from it. Reunions aren’t always what we expect, but showing up is the most important thing. 6. Favorite color? Favorite food? Left-handed or right-handed? Do you like to have breakfast for dinner? Favorite book? Movie? TV show? Song/band? Quote? Ice blue. Tabbouleh. Right handed. Yes – especially a good frittata. The Glass Castle by Jeanette Walls. Moulin Rouge. Parenthood or Doctor Who. Tom Petty and Sarah McLaughlin. 7. Do you have any funny quirks that you’ve inherited from your family? I dab my wrists and behind my earlobes with vanilla extract when baking. 8. Do you know much about your family history? Where do your ancestors come from? Would you want to visit the lands they hail from? I know more about my Italian relatives – I would love to visit the small village in Italy where they’re from and chow down at a local restaurant. 9. If you could get A.J. to invite one person to the Global Family Reunion, who would it be and why? I would love to meet Jeanette Walls, author of The Glass Castle. She has such an amazing family story and such a brilliant heart. 10. A.J.’s idea is that if the people of the world could see how interconnected we all are maybe we would be a little nicer to one another. What do you think about that? I think he’s right! I think of everyone in the world as my family and global neighbors. In fact, I dream inviting the entire world to an enormous global table where we could all eat together in peace – no food fights, no arguing. It might be idealistic, but eating together in this way is the foundation of a strong family. It builds understanding and compassion, as well as a common bond. 11. If you could share one message with your 7 billion cousins what would it be? Love is always the answer. Always. 12. You’ve just had a book come out. Tell us a little about it and where we can find it. 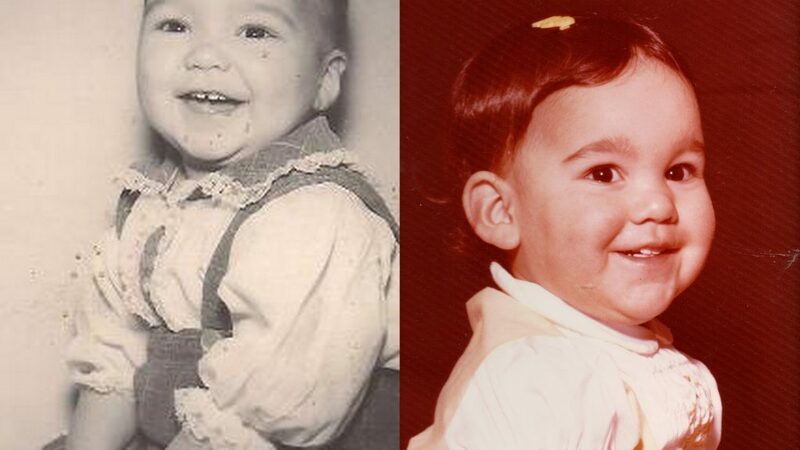 I had one simple task when I started writing my memoir – chronicle my adventure to eat a meal from every country in the world with my picky husband and baby girl, all from our small kitchen in Tulsa, Oklahoma. But looming over the simple narrative of how I set out to cook the world, one burning question remained… why. The more I dug into this question, the more I realized that my four-year, 195-country culinary obsession was rooted in something much deeper. It was about finding a sense of belonging… and I knew I would never find my place in this world if I didn’t make peace with my past. As I wrote, the story quickly took on a life of its own. Life from Scratch: A Memoir of Food, Family, and Forgiveness shares this journey towards belonging, motherhood, and inner peace… with the added indulgence of 29 of my favorite recipes from my family and Global Table Adventure. 13. Do you have a favorite recipe from your book? If so, what is it? They all have a special place in my heart… especially my mother’s recipes. The German Tree Cake is especially good – all 21 layers of it! No one needs to make a cake this elaborate, but it’s symbolic of my mother’s perseverance as a single mother on a food stamp budget. She used cooking to help us see beyond our circumstances and realize that the world was a magical place full of possibility. Plus, the cake is delicious! 14. What’s next for you? Any new projects on the horizon? I’m currently searching the globe for delicious ways to enjoy old favorites like carrots and potatoes – I love how a few ingredient tweaks can transport you to another part of the world and spice up dinnertime. But it’s not just about me and my family – I use my blog, Global Table Adventure, to help people bring the world into their kitchens with fun, delicious recipes that are easy enough for a weeknight and elegant enough for the weekend. To date I’ve adapted more than 650 recipes from 195 countries for families, educators, and students. If you’re looking for recipes from your family heritage, this might be a great place to start! Just Genealogy is an enduring home for genealogy in Second Life. Founded by Krag Mariner, now Clarise Beaumont and Genie Weezles (Relatively Curious) own the property. Just Genealogy group is the largest in SL devoted to genealogy. Barbara Collazo joined Second Life to “do” genealogy, and has been at Just Genealogy since her first days in SL, though she does many other things too. ~~~What’s the Global Family Reunion? It’s a fundraiser for two organizations devoted to finding a cure for Alzheimer’s Disease: the Cure Alzheimer’s Fund and the Alzheimer’s Association New York Chapter. Goals of the festival are threefold: to find cousins through the new online crowdsourced family trees, raise money for Alzheimer’s Disease research, and have fun! Genealogy and family history have gotten a big boost in the arm in the last decade from inexpensive DNA testing and the growth of online source databases and user-built family trees. 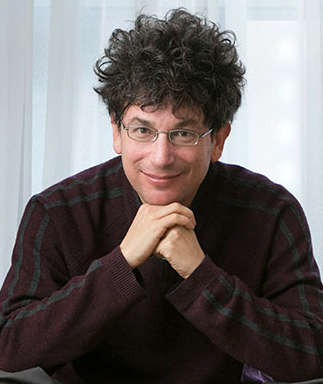 A J Jacobs, a writer and editor, plugged himself into several websites and got excited, as many of us do, at the history and connections it opened up. In honor of his newfound cousins, he is sponsoring a day-long event in New York City with branch parties in other locations—SL is one of the official locations. 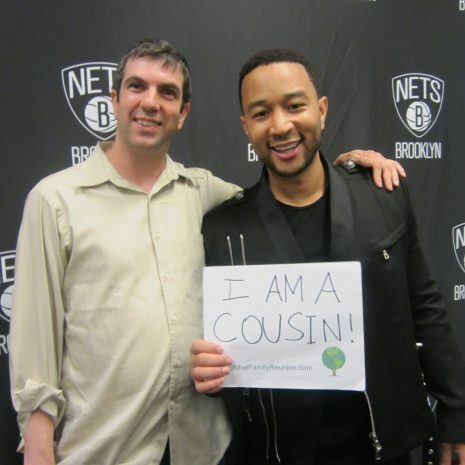 NYC Events include education, famous speakers, many cousins near and far removed. In SL we will have educational presentations, talks and discussions, games and prizes, we’ll be live-streaming the New York event, there will be music all day, all in a carnival atmosphere. Find more information about the global event at http://globalfamilyreunion.com/global-at-a-glance/ . 10-minute TED talk about the reunion at http://www.ted.com/talks/aj_jacobs_the_world_s_largest_family_reunion_we_re_all_invited. This is the seminal article, from the New York Times: http://www.nytimes.com/…/opin…/sunday/are-you-my-cousin.html . We have educational displays and scheduled discussions about genealogical topics. It’s a friendly community who understands when you start to talk about second cousins five times removed. It’s a great place for people who may be physically disabled or isolated—as for many, Second Life is a lifeline where you can meet people with similar interests. We host a bona fide chapter of the Association of Professional Genealogists, who strive for the highest scholarly and ethical standards in genealogy research, and who offer a continuing education program monthly. A day of fun and music, live-streaming the NYC event, presentations discussions, prizes and games. There will be dancing all day, and people to help with your own family history if you wish. We invite newcomers to SL to join us and we’ll have newcomer-friendly destinations for you to visit. If you’re new to genealogy, stop by and listen to stories. Or come help! If you’re new to Second Life, begin at http://secondlife.com/ . It’s free. Download the Second Life software, follow the instructions to create an avatar, and enter the world. Search for Genie Weezles or Barbara Collazo in-world, or make your way to Just Genealogy, http://maps.secondlife.com/secondlife/Wollah/76/43/72 . Note that you must be 18 to use Second Life. How do you “do” genealogy in SL? First of all, with discretion. We promise anonymity if people want it. Second, with speakers, discussions, webinars, and all the usual high-tech educational tools. Genealogists of all skill levels inhabit SL, and we are always learning. We do focused problem-solving: using group discussion and our varied backgrounds we help people open up new avenues for research. Don’t underestimate the social aspect: for someone physically or socially isolated, it can be a huge relief to talk to like-minded people. Global Family Reunion is taking place at New York Hall of Science. Here’s the information you need to get their via taxi, car, or public transportation. Studying one’s past can be an exciting adventure. You never know what stories and facts you will learn about your family genealogy during the process. One of the ways that you can make this task easier is by creating a visual “map” that you can follow during your research phase. Begin by writing down everything you know about your family history. Start with your parents and grandparents and work your way back. See how far back into your ancestry you can go just based on the information you have. If you are lucky enough to still have great-grandparents living, you may already have basic data about four or five generations. The most important information and often the easiest to collect are the names of your ancestors. Even if this is all you have to go on, you have a good start. Once you have listed all of the information that you have currently available, now is the time to organize it into a visual format. As you delve deeper into your family history, it will be easy to get confused. This is especially true if you have people with the same names. Take the time to write your basic information down into a format that is easy to read and visually pleasing. You may wonder why it is important to include this step. The reason is that it helps you keep the information straight in your mind. While it is easy in the beginning to remember who you are researching because you either know the person or have heard stories about him or her, as you move farther back into your past, it becomes more difficult. These people become just names on a page and it can get confusing. A family tree allows you to stay organized. Numerous templates are available to help you organize your information. Each one is designed a different way to appeal to various styles of researchers. Some are extremely simple and only include names while others provide room for more elaborate details. The first decision is how many generations you want on your family tree. To begin your research, you may want to start with a four or five generation family tree. Many of these templates give you room to write birth and death dates, dates of marriage and even locations. Since you probably know more information about recent ancestors, this is a good option for storing that data. As you move farther back into your family history, you may want to use an eight- or nine-generation template. This allows you to see more members at a glance without including a lot of information. These templates come in various styles to fit your needs. Some common options include circular, hourglass and bowtie shapes. The one you choose depends on what is most visually pleasing to you. Researching your family history can be challenging and a lengthy process. Begin by organizing your information into a family tree and it will make the task much easier. Suzie Kolber created http://obituarieshelp.org/free_printable_blank_family_tree.html to be the complete online resource for “do it yourself” genealogy projects. The site offers the largest offering of family trees online. The site is a not for profit website dedicated to offering free resources for those that are trying to trace their family history. The Global Family Reunion (GFR) Team is teaming up with the generous folks at HomeAway for an “I Am A Cousin” Twitter Contest! It really doesn’t get any easier than this. 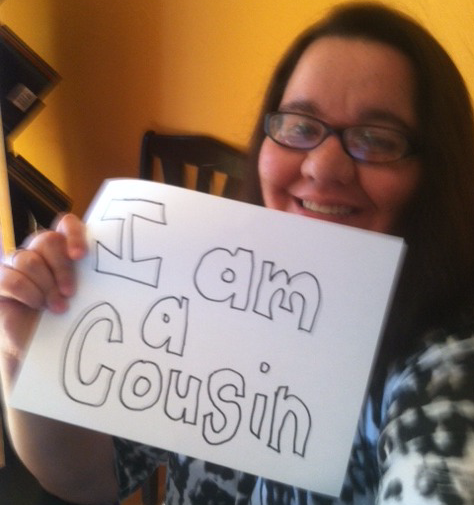 You take a picture of yourself (or group shot) holding an “I Am A Cousin” sign. You post it to Twitter with the tags @homeaway, #WholeVacation and #GlobalFamilyReunion. You’re entered to win! The winner will be randomly selected by the GFR Team. 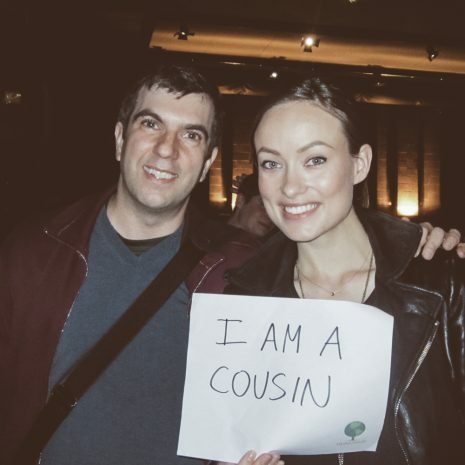 Take a photo of yourself (or a group) holding an “I Am A Cousin” sign. Post it to Twitter with the tags @homeaway, #WholeVacation and #GlobalFamilyReunion. Photos must include a sign that says “I Am A Cousin”. Photos must be submitted by 11:59pm EDT, Friday, May 1, 2015 to qualify. Obscene or otherwise inappropriate images will be disqualified. TERM: The “I Am A Cousin” Homeaway Twitter Contest will run from April 20, 2015 through 11:59 pm EDT, Friday, May 1, 2015. SPONSORS: Prizes donated by generous contest sponsors include HomeAway and the Global Family Reunion. HomeAway is not affiliated with the Global Family Reunion in any way other than as a generous sponsor and prize supplier of this contest. (a) It is received after 11:59pm EDT, Friday, May 1, 2015. 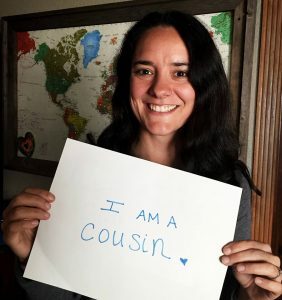 (b) It does not include an “I Am A Cousin” sign. (c) It contains obscene or otherwise inappropriate images. (d) It does not contain the appropriate tags. SELECTION OF WINNERS: The GFR Team will randomly select a winner from the qualifying entries. NOTIFICATION: The winner will be notified via Twitter. The Global Family Reunion is under no obligation to notify winners by any means other than Twitter. The Global Family Reunion is not responsible for notifications that are misdirected or not received. If the potential winner cannot be reached after a reasonable effort has been made during three (3) business days from the first notification attempt, such person may be disqualified, with an alternate winner selected. REDEMPTION: The GFR Team will deliver the prize as follows: Once a prizewinner responds to the notification from the Team, the Team will contact the winner to arrange for delivery of the prize to the prizewinner. CONDITIONS: (1)By participating in the Contest, you agree to release and hold the Global Family Reunion and all prize suppliers harmless from any and all losses, damages, rights, claims, and actions of any kind in connection with the Contest or any product purchased, or resulting from acceptance, possession, use or misuse of any prize, including, without limitation, personal injuries, death, and property damage, and claims based on publicity rights, defamation, or invasion of privacy, whether suffered by you or a third party. (2) By participating, entrants agree to be bound by these Official Rules and the decisions of the GFR Team and waive any right to claim ambiguity in the Contest or these Contest Rules. All decisions regarding the Contest, including, but not limited to, selecting winners and usage of submitted photos, will be made by the GFR Team whose decisions shall be final. (3) For the HomeAway rental apartment, winner will be required to sign a rental agreement and pay the damage deposit. The deposit will be refunded after the stay provided there has been no damage. 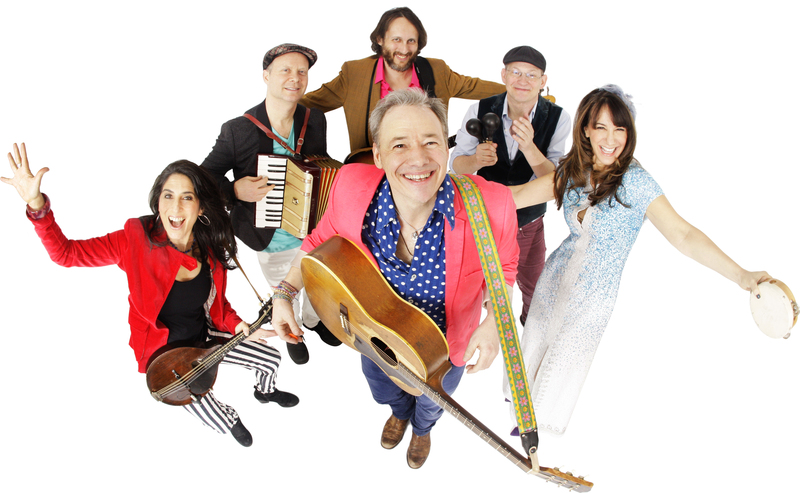 The Global Family Reunion is delighted to announce that Brady Rymer and the Little Band That Could will be performing at the main event in New York City on June 6th. Two-time GRAMMY nominee Brady Rymer and his band make joyful rock ‘n’ roll for kids and families. After a decade recording and touring with childhood buddies in RCA jam band From Good Homes, Brady’s career in children’s music grew along with his family. Over time, he assembled a kickin’ band of friends, outstanding players all, with backgrounds from Americana to Zydeco. Two kids, seven CD’s and two GRAMMY nominations later, his music has been called a “joyous, genius, melodic gift for anyone with a rock and roll soul,” and his band “might just be the best-sounding band in children’s music,” according to NPR’s All Things Considered. The Global Family Reunion will take place June 6, 2015, and aims to be the biggest, most inclusive and most entertaining family reunion in history. Everyone is invited. It will include presentations by celebrities, genealogists, and famous scientists, music, comedy, games, interactive exhibits and food. The main event will be held on the grounds of the world’s fair in New York, but there will be simultaneous parties around the world. All proceeds from the New York event will go toward Alzheimer’s Disease research and care. Tickets are available now. The Global Family Reunion was founded by author A.J. 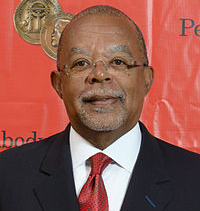 Jacobs, who became fascinated with the idea that every person on Earth is related to every other after entering his name in several genealogy websites and finding he was connected to people all over the globe. “My hope — and I know it’s a bit idealistic — is that once we see how closely we’re all related, we’ll be able to work together better and solve the world’s really big problems, including Alzheimer’s,” he says. The Global Family Reunion will be the topic of Jacobs’s next book and the subject of a documentary by Morgan Spurlock (Supersize Me). Among those participating are actor Daniel Radcliffe, President George H.W. Bush and comedian Nick Kroll. The event has already been featured in the New York Times, People Magazine, NPR and Good Morning America. If you are interested in attending, please see the event website at globalfamilyreunion.com for more information. Plus, take a few minutes and watch Jacobs’ TED talk The world’s largest family reunion…we’re all invited . 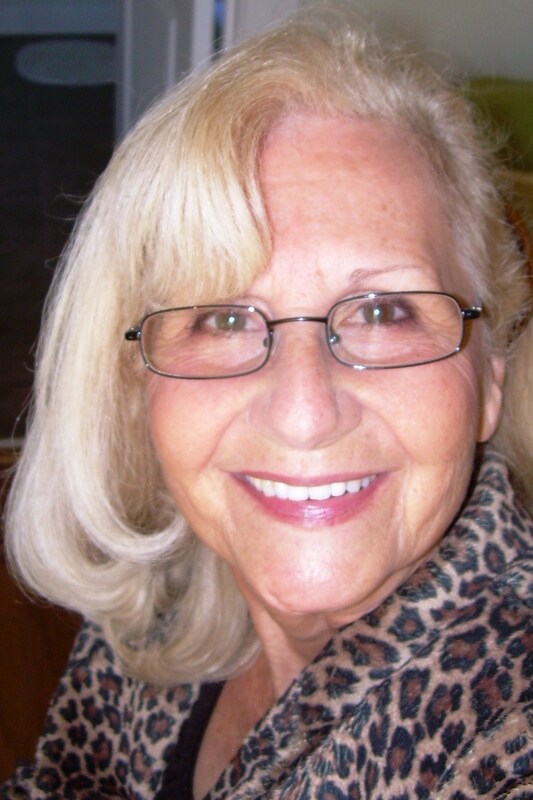 I am Gladys Hodge Sherrer, granddaughter of Julia Ann Josephine Amason Williams, who is 1st, a grandmother (one daughter, one granddaughter) and a published author of fiction and nonfiction. My current project is a Civil War novel, currently undergoing peer review. I enjoy travel, spending time with family and other singles friends. Grandma Julia (noted above) has always been a favorite, to the degree that I named my only daughter after her. Grandma Julia was very loving, always smiling and hugging and making me feel loved in unique ways, like as a child she would my art in her pantry, and my little crayon drawings stayed there for years and years. Today, my granddaughter’s art hangs in my pantry. I would be a descendant of biblical Joseph, as the incarnate Jesus (through Mary) descended from him. Maybe there is a chance of this, since I do have distant Jewish relatives? I do appreciate the invitation and would like to attend, but not in New York. Hopefully there is a closer one being held, a place like Charleston, SC. We were a family of nine children, and all previous generations had an average of twelve or more, having annual family reunions, and other spontaneous gatherings of fifty or more. Favorite color is yellow, yellow as in roses of that hue. Favorite food is ice cream with popcorn a close second. I’m right-handed. No breakfast for dinner, unless you count occasional bowls of cereal. Favorite book is the Bible. This isn’t a quirk per se, nor funny, but we are a long line of fiercely independent women. I recently researched Grandma Julia’s husband’s family, the Williams, and they are from Wales. Yes, I would like to visit the old country, but likely will not do so. 9. If you could get AJ to invite one person to the Global Family Reunion, who would it be and why? I would like to meet some of the Browning family noted in your research for my Grandma Julia, and am interested in whether they are the same (a socially prominent) Browning family who lived in Savannah, GA in the 19th century. 10. AJ’s idea is that if the people of the world could see how interconnected we all are maybe we would be a little nicer to one another. What do you think about that? though, family can be crueler than strangers. Stop all the fighting amongst yourselves; look at history and learn from the mistakes of our ancestors, and read your Bibles to see how we should live, loving God and others. Find your place in the World Family Tree.